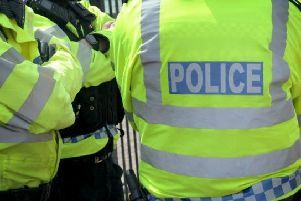 A man has been arrested under suspicion of assaulting police and burglary in Kenilworth this afternoon (Thursday August 17). The 29-year-old man from Reigate, Surrey, was arrested in Walnut Tree Close. The arrest followed police officers being called to reports of a break in progress at a property in Asplen Court at around 2.10pm. He remains in police custody at this time. Anyone with any information should call police on 101, quoting incident number 213 of August 17.